It’s said that ‘A stitch in time can save you nine’. It is very true but can be difficult to implement when you run a business; because you have so many deadlines to meet at one go and it’s hard to keep up with every small detail. So when it comes to running with your work flow, few obstacles can come in your way. Your printer may stop working when you are about to close your assignments. 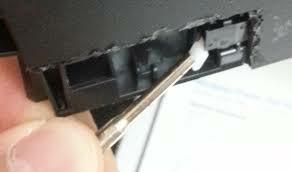 This post can save you some time by helping you with few preventative printer repair tips popular in Vancouver. Printers come with manufacturer’s manual where you will get every detail of keeping it clean at home. Every manufacturer provide different maintenance regime for every model. Do check on them at first, before you commence anything on your own. They will mention periodic maintenance chart. However, if you don’t have the manual or have lost it, you can follow the blow tips. Many people use ammonia based cleaning solution to clean printers but it’s not a good idea. The best way to clean the outer part of your printer is to dampen the cloth with isopropyl or ethyl alcohol. When you clean the exterior, don’t forget to check out the rollers that take papers to its pathway. Clean it if it’s also dirty. Keep using the ink routine wise. In most cases when there is a long gap, the ink seems to get dried out. Keep it pigmented. It won’t be a problem if it’s used for office purpose. Otherwise, if you have personal printer, make sure you take print of pages in every alternative week. This will prevent the ink from getting clogged. Balance in humidity level. For best performance, keep the humidity level between 40-60%. Rollers that put the papers to its pathway need to be cleaned. Toner, film and regular dust can accumulate to the system. This can slow down the printing process. Clean the path and the rollers in every month to keep it going smoothly. The print heads need to be cleaned also. You can use isopropyl alcohol on the print heads. Clogged print heads can cause poor printing quality. Printer is a delicate and important office work essential. Just like other electronic goods, it also needs periodical maintenance. 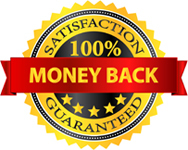 However, if you need professional assistance, you can also call out for printer repair service Vancouver.